It's been another amazing month on Silhouette School with 21 new Silhouette tutorials and the celebration of our third blogiversary! 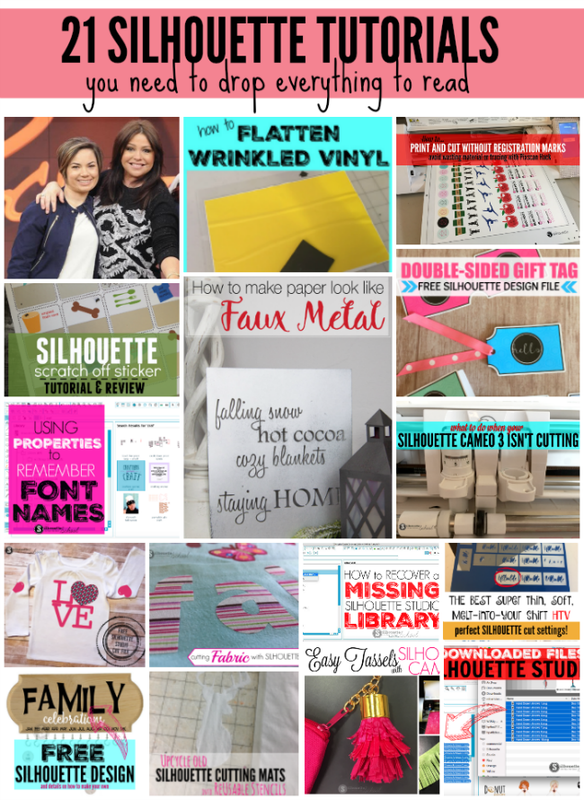 Not to mention an in-studio segment on the Rachael Ray Show and free Silhouette Studio design files to drool over !! In case you missed any of the fun or any of the new Silhouette tutorials head here's a quick roundup of everything we shared on Silhouette School in January! Silhouette School Turns 3: We're Celebrating with a Week of Giveaways! 12 Silhouette Studio 4 Wish List Items That Already Exist!